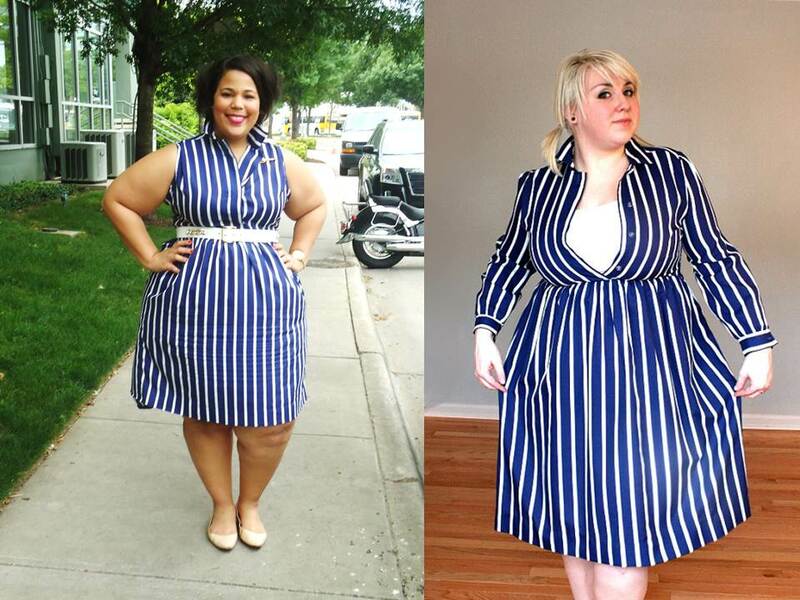 Doing Plus Size With My Tailor! Pinterest is a wonderful thing. You get to see what everyone else is looking at through a single posted picture. That is how I came across Thread Over Heels Etsy shop. 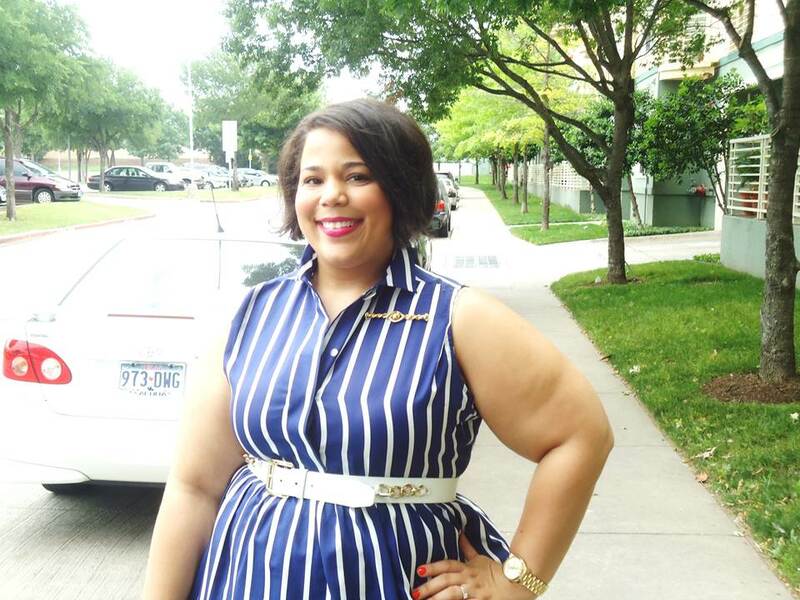 This etsy seller sells a lot of vintage pieces in plus sizes. 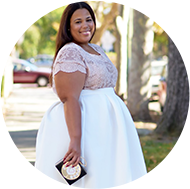 I haven't seen anything over a size 18, but there are definitely some pieces worth working with, such as the one I recently bought. Yall know I love all things nautical and I fell in love with this dress immediately. I would say I probably go to the best tailor in Dallas at Art Custom Tailor (on E. Mockingbird Lane). This dress was a size 12 petite. The description said it would best fit a 14/16. Off the bat for me to even try the dress on I knew the sleeves had to come off, so I removed those myself. I got it on, but it was way too tight in the bust. I got my tailor to finish making the dress sleeveless. I also had him to use the sleeves add some width in the bust area. It came out perfectly. I will be taking this dress back though, so he can drop the hem. This is shorter than I like my dresses to be. So how much did this dress project cost? The dress was $40 and the alterations cost me $29. It totals $69. So $70 for what I may call my new favorite summer dress. For me, it was totally worth it. I love Pinterest. I would love to pin with you. Find me here. You look gorgeous! I need to try more customization with my pieces! I love the dress!!!! And the alterations turned out perfectly!!!!!!! Your tailor did a great job! this post is so inspiring! i just did a closet overhaul, and couldn't part w/ this thrifted paisley dress that has the same "before" silhouette as yours. I'm definitely going to look into updating it to be like yours. I just had my first tailoring experience & I'm so happy! Your tailor did an awesome job! You look fab in that dress. I'm glad you made it work for you!!! Aww man, now I'm going to have to find a good tailor. I keep putting it off. I love this! I'm such a fan of tailoring - I've had necklines changed, skirts/slacks shortened or let down and tops taken in. But I've never had anything let out in the top - do you know if the tailor added fabric at the sides or the back seam? Just gathering information, ya know! Love this summer look and the white belt kills it. He added it on the sides...you couldn't tell at all & thank you! I can't say it enough.... You are one amazing woman! Beautiful and inspirational! Love this look! that's quite a good news! I am dying for vintage shopping but totally unable to find it my size. I better check this best site you've suggested soon! You look so pretty in this dress tough.